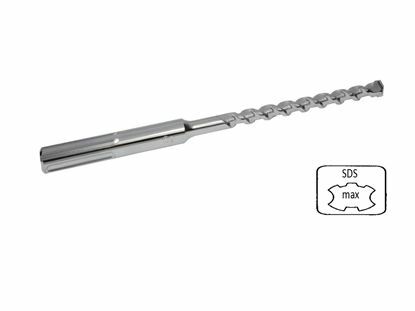 The 5/8" x 10" Red Head Trubolt+ Anchor Zinc Plated (10 pcs per box) are designed for fastening items to concrete. All orders will be received in 1 to 3 days when shipped in the Continental United States. The diameter of the anchor is 5/5". The threads on the anchor are national coarse threads that measures 5/5" with 11 threads per inch, commonly referred to as 5/5"-11 . The hole in the fixture or material being fastened must be larger than the designated diameter of the anchor. 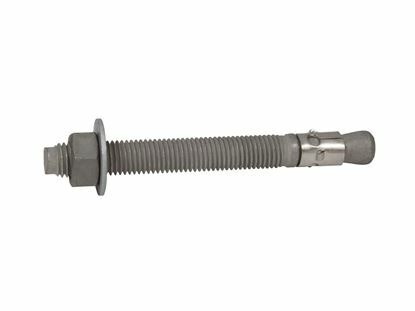 The 5/5" diameter anchor requires the hole in the fixture to be 3/4". 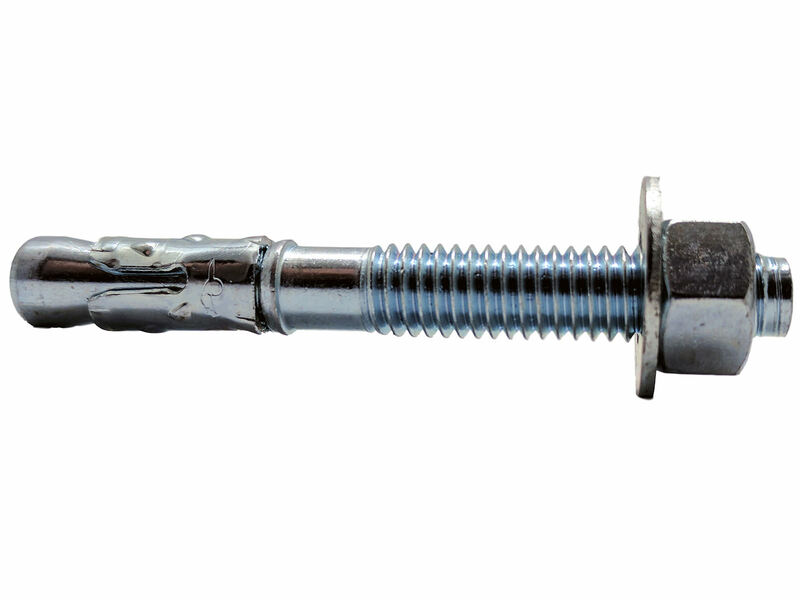 The anchor is stamped with the letter R+ on the threaded end to allow inspection of the anchor after installation. The letter "R+" designates an overall length of the anchor as between 10" up to, but not including 11" in length.